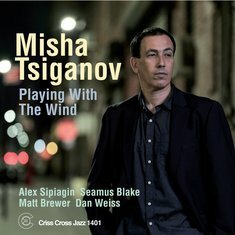 For his third Criss Cross album, pianist Misha Tsiganov presents a nine-tune program of four original compositions and kaleidoscopic arrangements of two Wayne Shorter classics, two Great American Songbook standards, and a Russian folk song. As on Artistry of the Standard Criss 1367) and Spring Feelings (Criss 1384), the St. Petersburg native -- a U.S resident since 1993 -- teams with trumpeter Alex Sipiagin and tenor saxophonist Seamus Blake, both leaders of multiple Criss Cross dates and internationally renowned practitioners of their respective instruments. 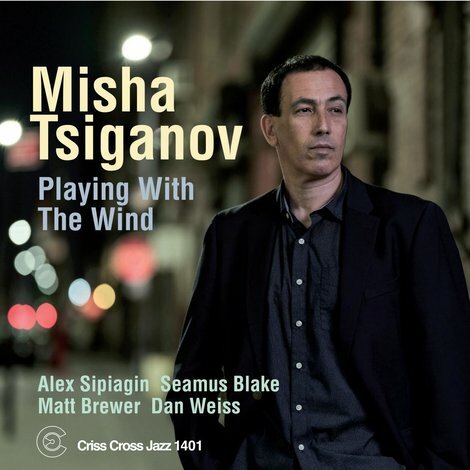 Joining Tsiganov for the first time on Playing with the Wind are bassist Matt Brewer (Mythology, Criss 1373, and Unspoken, Criss 1390) and drummer Dan Weiss, who apply their virtuosic chops to Tsiganov's elegant charts with an open, poetic attitude.